Alcohol woks have a unique look that will enhance any Asian dining experience. 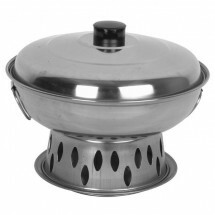 Designed to keep food warm on the tabletop, your guests will be enchanted when their meals are presented in this tabletop warmer. With a separate base that contains a fuel holder, a wok body and a cover, Asian dishes can be kept at the optimal serving temperature throughout the meal. 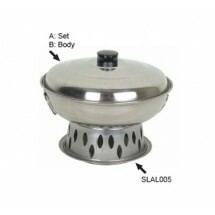 Avaiable in sizes from 7-1/2" - 11" these inexpensive warmers will go a long way to add charm to your Asian tabletop decor.